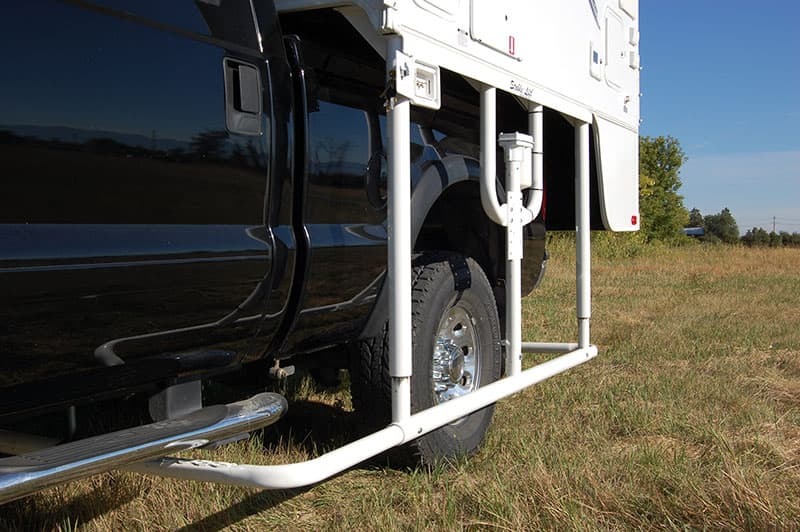 Truck Camper Magazine reached out to three Stable-Lift owners for their positive and negative feedback on the unique system. Topics range from product quality, to installation process, to loading and unloading experiences. Is a Stable-Lift system worth It? In October of 2017, we published “Weld Done: Stable-Lift Factory Tour”, an in-depth look at how Stable-Lift systems are manufactured, installed, and operate. During the months that followed, readers asked us for more information about the ease of use and long-term durability of Stable-Lift. They also asked about installations on different campers, and details on the pros and cons of the system itself. In our Weld Done article, we pointed out the primary positives and negatives of the system. For pros, three-minute loading and unloading, increased stability off the truck, and the simplicity of one system replacing corner jacks, tie-downs, and turnbuckles. 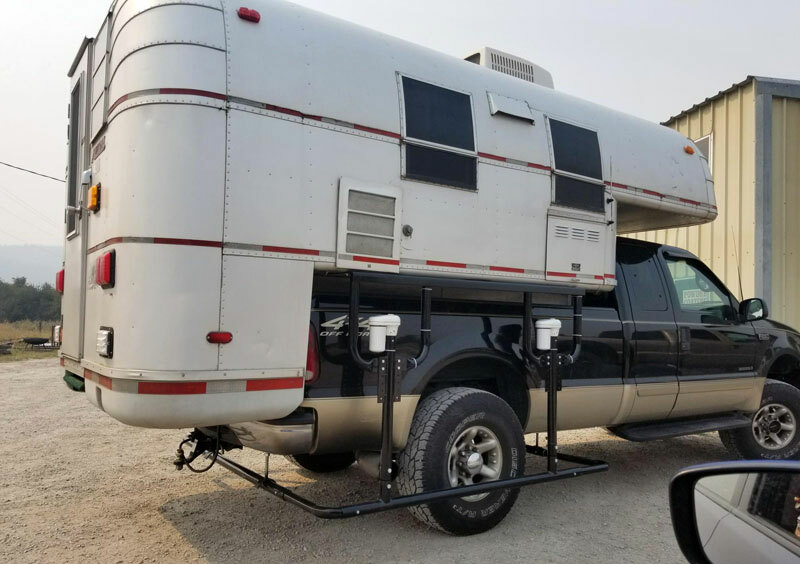 For cons, the addition of several hundred pounds to your rig, incompatibility with some truck campers, and cost; $2,495 for the two-jack Stable Lift system, and $2,895 for the three-jack Stable Lift system. To get a grip on the realities of a Stable-Lift installation, day-to-day ownership and use, we reached out to three Stable-Lift owners. Each has a different truck and camper, a different installation story and a different set of experiences. Thank you, Marc, Mark, and Jorn for your user feedback on the Stable-Lift system.